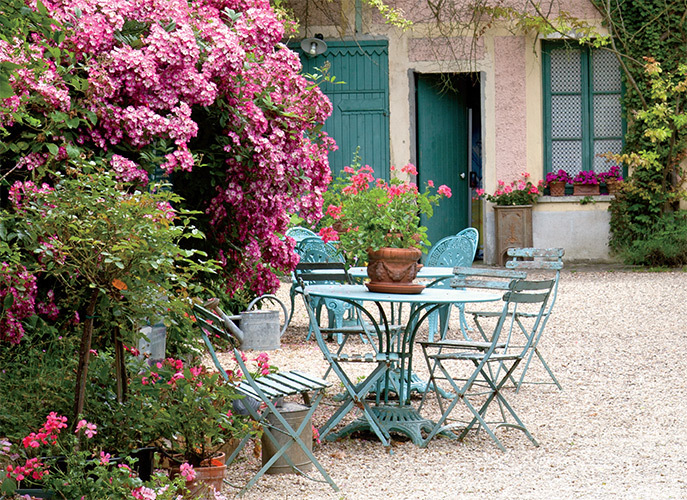 The lifestyle of France has always fascinated me, and, naturally, so has French style. I love the elements of luxury, softness, and patina intermingled throughout the aesthetic with linens, muted colors, and antiques. It’s no wonder French style has long been popular and still is today. 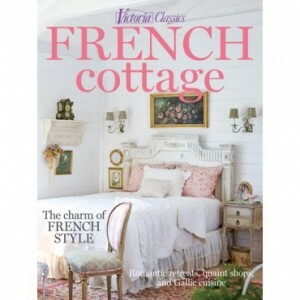 To celebrate this beloved style, Victoria magazine just released a charming special issue called French Cottage. Throughout the pages, you’ll be inspired by the warmth and beauty found in each home and shop. In the “Romantic French Décor” section, you’ll tour homes immersed in provincial charm, masterfully mixing elegance and subtlety. 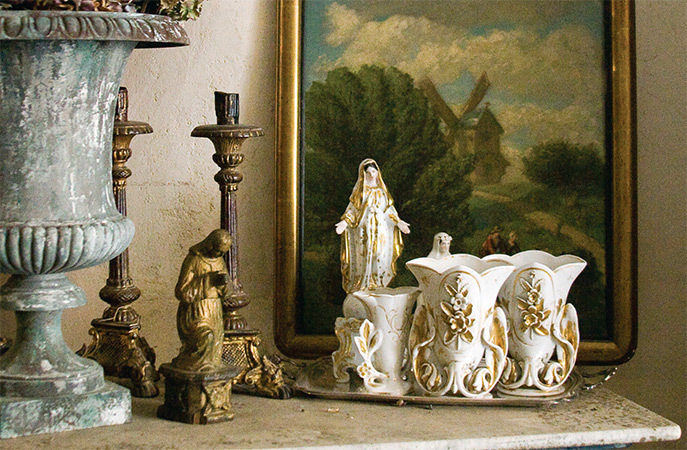 In the “French-Inspired Furnishings” portion, you’ll meet the successful proprietors behind gorgeous boutiques that sell antiques and heirlooms. Their passion for restoring these storied pieces to their former glory is contagious, and you’ll fall in love with the patinated furnishings filling these shops. 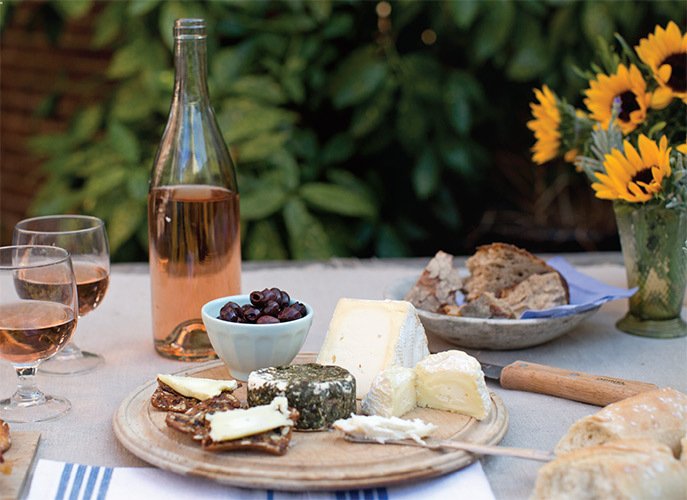 If all of your reading and perusing of the pages has you hungry for a taste of France, the “Gallic Cuisine” chapter will allow you nearly instant gratification. These recipes were regionally inspired and are sure to be rich, comforting, and luxurious—just like French style and the lovely country of France itself. I’d love to hear if you share the same interest in French style or cuisine! I absolutely loved French Cottage 2015 but lost my copy. Can I get another on? Thank you Phyllis! French Cottage will be a fabulous addition to your publishing empire as well as a magazine that will bring peace and inspiration to so many! I fell in love with French home and garden type magazines years ago on trips to France and brought home as many as I could fit in my suitcases. Back home the only place I could find them was in Penn Station in New York. Now that I live in North Carolina I don’t get them as often as I’d like to and I’ve found that the quality has deteriorated somewhat over the years. Now with you at the helm of this “American” French Cottage, I can’t wait to scour the pages…and it’s all in English! I think French Cottage is very pretty! I’ll have to keep my eye out for this magazine! The issue is outstanding! Wish is was a regular publication – love, love anything French. I am drawn to the culture as they seem to have such respect for the anything precious and also seem to have an appreciation of the little things. Can’t wait to see it! I have always loved this style since 4th grade when my folks bought me the lovely white and gold curvy legged bedroom set! Happy weekend! I agree with chinamom- My “white & gold” French Provencial bedroom furniture from 1960, is STILL being used. This time by my sweet granddaughters. One 7 year old in NC has the bed & 4 drawer chest (painted for the 8th or 9th time) and the nite stand and chest of drawers by my 4 years granddaughter in WV,also painted now a very soft blue. These pieces have lived in MS, New Orleans; Charleston, SC when my daughter was in college; in our basement until a new baby needed nursery furniture painted solid white. The stories these pieces can tell. SO many great memories and it thrills my heart when I hear:” this was my Grandmother’s furniture when she was a little girl.” Good pieces that have traveled and stood up to many layers of paint and memories. Isn’t that what life is all about? Love everything French. Especially a panetierre that is a family heirloom – the quintessential piece of French furniture! Vue est toile de jour Phyllis; I’m sure the magazine is wonderful. I just read the May/June Victoria special French issue. With every page one yearns to hop a plane to see it for yourself! Normandy is on my bucket list. For centuries other countries have invaded France, but of course, it is so beautiful who wouldn’t want full time occupancy. Thank you for yet another wonderful adventure with Victoria magazine. Have a lovely weekend. I have it in my stack and I think I’ll stop right now and go have a look after seeing these pictures! Have a great day! Bought this last week and LOVE it! 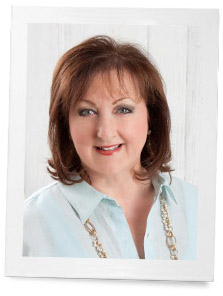 Very inspirational decorating ideas and LOVE the “pots de creme” recipes. Will definitely add this magazine to my growing library of French Country magazines and books. The style just takes me to the far away romantic life of my dreams. Meanwhile I peruse every French Country photo to see how my I can transform my own little French Country style home into some resemblance of these beautiful settings. Love, love, love the French aesthetic! I picked this magazine up the minute I saw it at the news stand. Your publications are magical – keep up the good work. Warm regards, Phyllis. I will definitely get this. I have always loved French style…in home furnishings, fashion, food etc. While in Paris, two summers ago I stepped into a store that epitomized all that is French Country. C’est magnifique! French-cottage decor has such warmth and charm. I think it comes from including the things one truly loves, regardless of their age or finish. A handed-down mirror, a weathered garden bench, or vintage guest towels—all add to the unique personality of the home. Can’t wait to see this issue! home for a vacation rental in Saint Paul de Vence, which is a beautiful and charming medieval town on the French Riviera over looking the Mediterranean Sea. Oh là là! Sounds magnifique! Please help me get it. The link took me to an offer for Southern Lady. I’d like French Cottage. Thank you! Bonjour Phyllis! Decorating and cooking; us girls just can’t get enough! Will pick up the magazine today! Love the French style – makes me feel comfortable! YES! I can’t wait to get a copy of this beauty. French style, antiques and the food of France have been so much my favorite over the years, that I built a business around it. The French have a charming casual elegance that is evident in their every day lives. Thank you for publishing this magazine, I know it will be a huge success, and make all of us love French style and France even more. Each and every magazine you have anything to do with is beautiful, informative, worth reading and perusing over and over!!! I look forward to each and every one for ideas in gardening, decorating , cooking and entertaining! Oh, this sounds like a lovely read! Will definitely be adding it to my magazine list! ~ Donna E.
Have always been a French Cottage lover, so when you told us about Victoria’s issue of French Cottage, I went right away and purchased it. Well, the rest of my day was spent with my nose in the magazine. It is the best ever! I can’t put it down! Have emailed and phoned loved ones to get it. What was it Einstein said, it’s better to be creative than intelligent? Something like that, and Phyllis, dear girl, you are both. 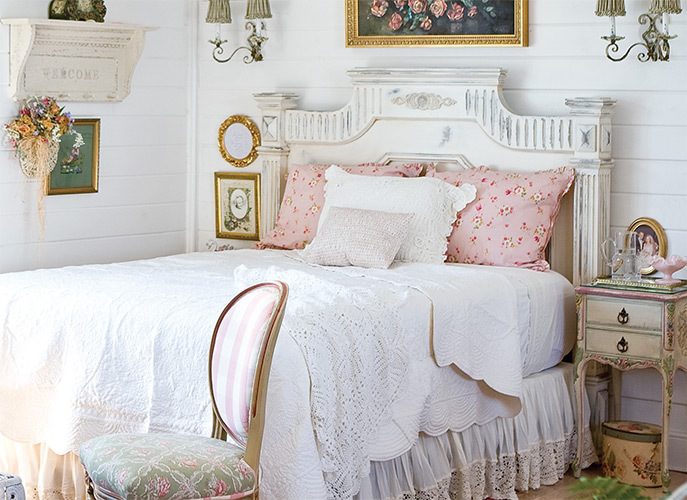 Love, love, love French Cottage. Oh, hope you will make this an ongoing issue. I can hardly wait to pore over every page…it looks amazing, Phyllis!